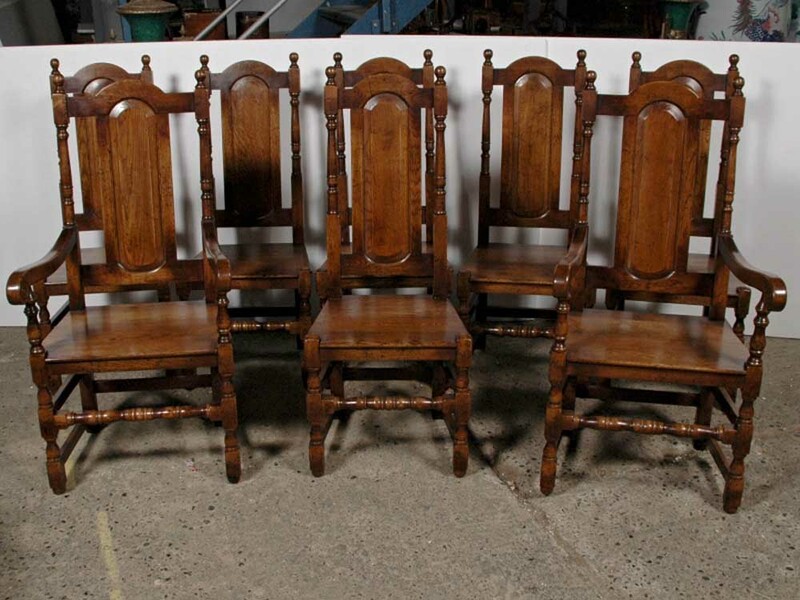 You are viewing an absolutely wonderful set of 8 English Elizabethan / Tudor style dining chairs in oak. I hope the photos do this stunning set some justice, they are certainly more impressive in the flesh and would make for a stunning addition to any home interiors scheme. You can just imagine them in the great hall of a castle – or perhaps in your own kitchen! The set consists of two arm chairs and six side chairs. The large backs give them that classic Tudor look, Gothic minus the angulated spires, perfect for creating that cosy, farmhouse rustic look that is so popular. The chairs have been hand crafted from oak and are solid and sturdy, wobble free and very comfortable to sit in. The seats are large – you could add cushions to match your interior scheme, these look great with those hand woven Elizabethan style ones. The great things about these chairs is they can be used for formal dining as well as every day kitchen use. The finish to the oak is superb – all the grains and whorls to the wood have come out a treat. These really are a knock out set. We have pictured them around a matching English oak refectory dining table we have available for sale – if you are looking for the ultimate rustic kitchen dining set then you’ve found it! If you are interested in buying the set with the dining table please get in touch, we’d be happy to organise a great price for the set. 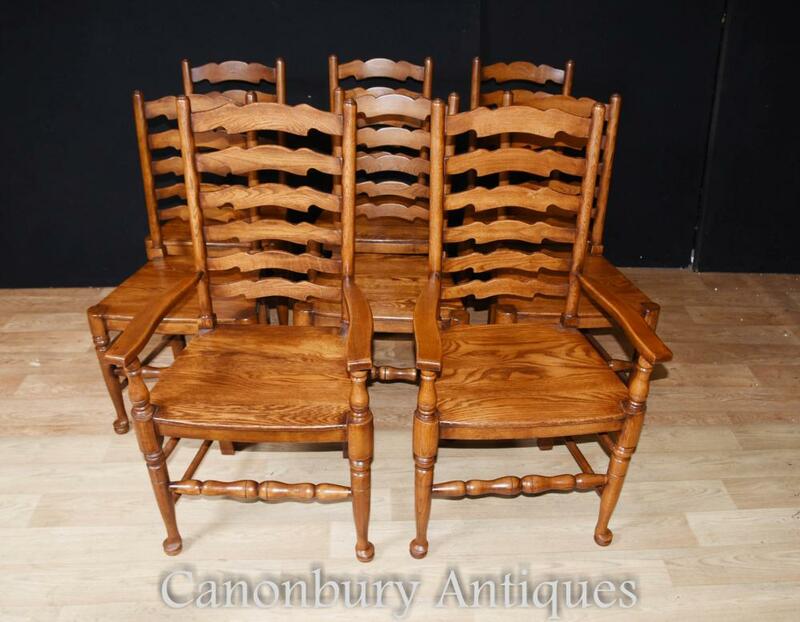 We bought the chairs from a dealer in Debenham, Suffolk – they are all offered in great shape and we will ship to anywhere in the world.